Wow! We can't believe we are in our final term already! Our topic question this term is: is it better to stand out or fit in? As artists, we will will begin the half term by taking part in our whole school drawing week! We will investigate the work of Keith Haring and use his artwork as inspiration for our own drawings. In P4C, we will consider what made Keith Haring unique and reflect upon what makes us unique focusing our enquiries on our big question: Is it better to stand out or fit in? Do we always appreciate what we've got? We have had lots of fun during the Spring term as geographers and have learnt so much. Here are a few photos of us plotting features of our school on a map after our journey to explore plus some photos of us making our own globes. We started with a balloon and drew what we thought our world looks like on it. Then, we used globes and atlases to find out about the continents and oceans that form our world. It is much bigger than we first thought! What a wonderful day we have had! We all looked fabulous in our character costumes today and we had lots of fun. We were Secret Readers - our top secret mission, should we be chosen, was to sneak into Palm class and silently select someone to come and share a book together in our reading corner! We were detectives and we had to use the clues to guess which book character everybody was! We had a visit from a real life author and illustrator who came in to tell us all about their book 'The Little Urban Fox Explores Endcliffe Park'. They told us how they edited and reviewed their book lots of times before it was published, just like we do in our own writing in school and some of us were even lucky enough to share our own ideas for a story line that they could use in their next book! Finally, we read 'Grandad's Secret Giant' and we measured everyone to check if there was a giant lurking in our classroom, then discussed our P4C question 'How can we appreciate everybody?' as a class. We shared lots of big ideas such as treating everyone equally, showing kindness, being fair and treating people how you would like to be treated yourself. Have a look at our gallery to see our amazing costumes! Thank you for making such a super effort everyone. We have had a fabulous first week back after the Christmas break. The children were so excited to share stories about their holidays and it has been lovely to hear them all! We have settled back into the school routine well and had lots of fun whilst learning. Have a look at all the exciting plans we have for our learning this half term. Our topic question this term is: do we always appreciate what we've got? As geographers, we will identify the capital cities, countries and seas which make up the UK. compare Sheffield and Scarborough by studying the human and physical features and begin to understand the geographical similarities and differences. We will consider what we like about Sheffield and design our own bunting which represents our city to display in our classroom! We started our Autumn 2 term in style with our fabulous Diwali celebration. We have been learning about Diwali, the festival of lights, which we have all really enjoyed. We have explored rangoli patterns, performed a dance and wrote a report all about it. We made lanterns at home and created some fabulous artwork in school using a printing technique where we created a design on a polystyrene tile, used rollers to cover it in paint then printed it on paper. The big reveal of our print was so exciting! Then, we held a celebration evening so our grown ups could come and learn all about Diwali and look at our wonderful learning on display. Our lanterns were lit creating a beautiful walkway entrance and we were even dancing on the big screen! It was a fabulous evening and we thank you all for taking the time to come. Our print designs are still on display in reception if you missed it. What a fabulous way to end our first half term in Y2 Oak! In our last week we learnt all about enterprise by deciding upon a product to sell, creating our very own company name - Y2's Delicious Bakes and catchy slogan - Applesolutely Delicious, designing then voting for our winning company logo and thinking about advertising by creating posters. We taste tested the finest seasonal ingredients and learnt about where all the ingredients came from before measuring, weighing then finally making our very own Seasonal Apple Biscuits. We obviously had to evaluate them before selling them to our customers! We decided they were indeed delicious! We enjoyed looking at all the other stalls around the Farmer's Market, before opening for business. We all had a turn working behind the counter, selling and counting out the change and thank you all for coming and supporting us. It wasn't long before we'd sold out! We raised over £100 just on our Y2 stalls, selling over 100 packs of biscuits. We think Alan Sugar would be proud! This half term we have thoroughly enjoyed reading and writing about The Twits. We particularly loved the Wormy Spaghetti chapter where Mrs Twit hid worms in Mr Twit's lunch! We had lots of fun using role play to sequence this chapter. Some of us even tried to look like Mr Twit with jumpers for beards! From digging up worms in the garden, to cooking the lunch, then sitting down to eat it and even laughing, clapping and stamping our feet at the end just like Mrs Twit, we made excellent Twits! The Magic "Get Away With It" Ring! Our amazing Y2 Oak class blew me away this week with their big ideas in our P4C session. We found a magic ring called the "Get away with it" ring - if you popped it on your finger you became invisible. You could do whatever you wanted and get away with it! Nobody would know! When asked what they would do ideas ranged from "taking all the sweets from Mum and Dad and keeping them for myself" to eating all the ice creams in the supermarket!" When asked what they should do the children suggested "taking food to all the hospitals in Africa", "giving my presents to children who don't get any" and "looking after homeless people." I am so proud of how thoughtful, kind and grown up their ideas were! Last week we received an exciting letter from Megan who works at the Sheffield Industrial Museums. She has asked us to become museum curators and look after some of the museum's artefacts! We have really enjoyed exploring these over the last week. Like true historians we wore gloves to investigate the artefacts and learn more about life in the Sheffield steelworks! We have lots of questions that we want to answer and explore further. We can't wait to find out more! First week in Y2 Oak. We have all had a wonderful first week in year two. The children have enjoyed lots of different activities and have worked really hard. We have been counting, reading, skipping, hopping and asking lots of questions, to name but a few! Pom Poms, Class Dojo and House Points! 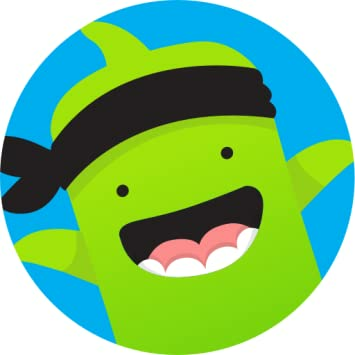 The children can earn dojo points as well as pom poms while they are in school. House points are awarded for the very best examples of learning and behaviour! Rewards will be earned as the pom poms reach the next target level! Once full our class reward will be a movie and popcorn!